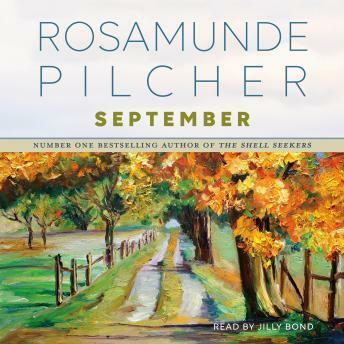 #1 New York Times bestselling author Rosamunde Pilcher's "magnificent" (Cosmopolitan) novel September brings a community of Scottish highlanders together in a story of homecomings and heartbreaks, friendships, betrayals, forgiveness, and love. In Strathcroy, Scotland, retiree Violet Aird watches as her son Edmund's marriage and family threaten to fall apart. But in the picturesque countryside of green fields, purple blooms, and glittering lakes in the month of September, a local ball will help wounds heal and hearts mend.